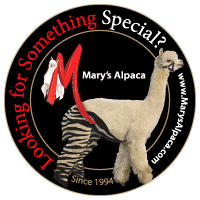 Mary's Alpaca: You bred for the best . . . . now what about your fleece??? You bred for the best . . . . now what about your fleece??? 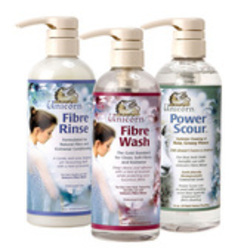 Knowing your Fibre care products can make a big difference...because... The Life of your Fleece BEGINS with the FIRST WASHING! VISIT UNICORN FIBRE AT WWW.UNICORNFIBRE.COM AND VIEW ALL THE PRODUCTS AVAILABLE TO ENHANCE YOUR ALPACA FIBER! NOW I KNOW BETTER. NOTHING, NOTHING CAN COMPARE TO THE PRODUCTS MENTIONED HERE. FOR STARTERS, IT'S MUCH MORE COST EFFECTIVE THAN DAWN OR OTHER DISH WASHING PRODUCTS, AND LEAVES YOUR FIBER OR FINISHED GARMENT SOFTER, CLEANER AND ANTI STATIC. AND SURPRISE...YOU ONLY NEED LUKE WARM WATER AND NOTHING GETS RUINED. PLUS IT'S ALL BIODEGRADABLE AND EARTH FRIENDLY.